What does Ivanka Trump do all day? It’s a question that has haunted the American public for years now. We know that she apparently measures vape juice, embarks on empowerment tours for rich women, and does spin class in the dark, all while ignoring the “daily chaos” of the White House, but beyond that? It’s a bit of a mystery. Whatever it is that she does, though she wants us to know that she has experienced “tremendous” personal growth by doing it. 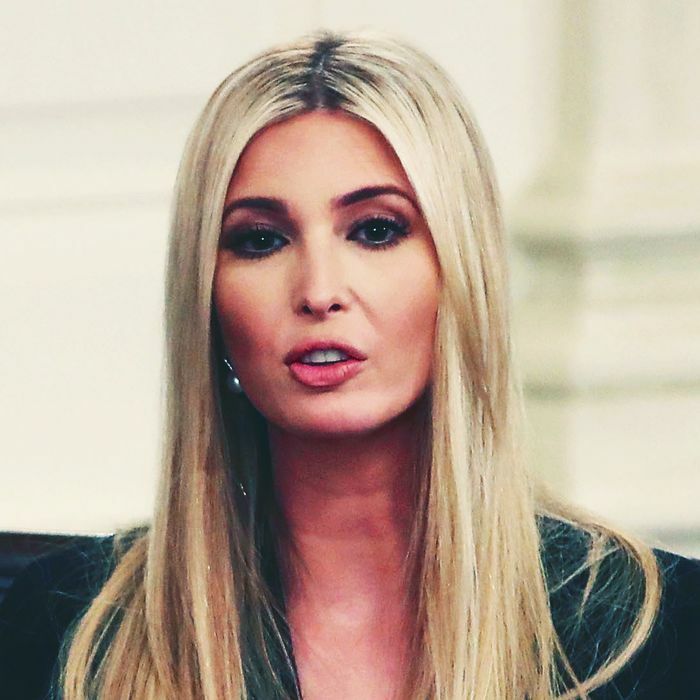 In a new interview with Good Morning America that aired Wednesday, Ivanka discussed her time in Washington, claiming that she has come out of it as a whole new person: “I actually have experienced, on a personal level, this tremendous growth in my own sense of self, and seeing more brightly my own compass and signal,” she said. In the same interview, presumably using that personal compass, she addressed the photos of U.S. agents using tear gas at the border, telling ABC’s Deborah Roberts, “It’s devastating to see the images and seeing children put at risk … it also makes me angry that we haven’t been able to come together as a nation and change our laws.” Laws that, you know, fall under the responsibility of her father and the administration she works for. Devastating as those images might be, Ivanka denied that it was her father who authorized using lethal force at the border — and then immediately walked back her statements after being shown a video clip of President Trump saying just that. “So, lethal force under any circumstances would be the last resort,” she then clarified, adding that the president isn’t talking about “innocent asylum seekers” in this scenario — because that would probably be another “low point,” in her opinion. Best of luck on the rest of this personal journey, Ivanka.